Join NSBE DC on Monday, January 11, 2015 at 6:30pm for our January Professional Development Meeting with NSBE DC Member Dr. Njema Frazier! Dr. Frazier will discuss the impact of NSBE in her talk "Reverse Engineering Success: How NSBE Positively Impacted my Professional Career." Cost is free for NSBE DC members and $10 for non-members. Additionally, support our S.O.C.K.S. (So Others Can Keep Striving) Drive by donating new socks (men and women's pairs, preferably long ones) and hygiene items (toothpaste, lotion etc) for the homeless. Check out more information about the organization at the hyperlink above! Dr. Njema Frazier is a Physicist in the Department of Energy’s National Nuclear Security Administration (NNSA). 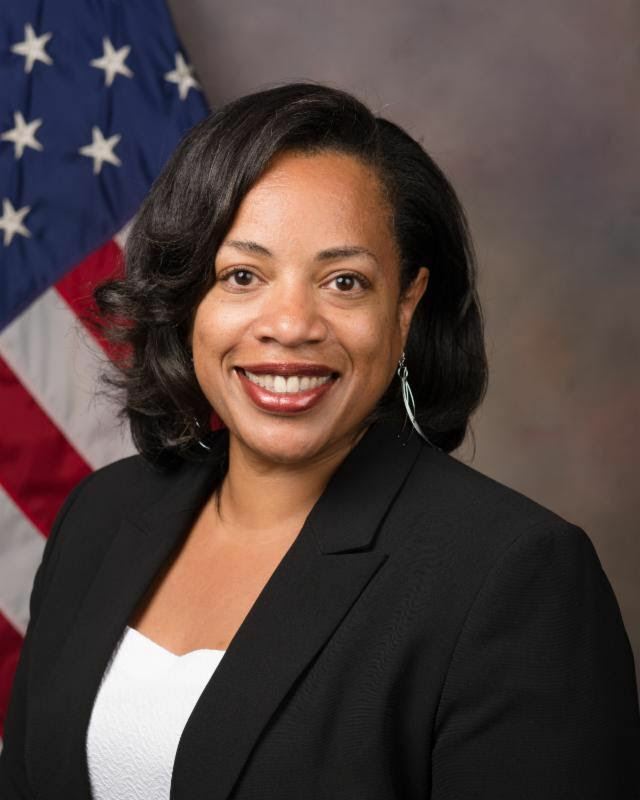 As a federal manager she oversees large scientific and technical efforts undertaken to ensure that the United States maintains a credible National nuclear deterrent without nuclear explosive testing. Dr. Frazier’s previous experience includes three years as a Visiting Professor at the National Defense University, in Washington, DC; and four years as a Professional Staff Member for the U.S. House of Representatives, Committee on Science. Dr. Frazier is a champion for education, outreach, and diversity efforts; regularly speaking to K-12 students and participating in community-based science, technology, engineering, and mathematics (STEM) events. She is a member of the National Advisory Board of the National Society of Black Engineers (NSBE); Chair of the Algebra by 7th Grade (Ab7G) Initiative for grades 3 through 7; Founder and Chief Executive Officer of Diversity Science, LLC, an expert-based network of scientists and engineers dedicated to broadening participation in science, technology, engineering, and mathematics (STEM); and an independent consultant and advisor on science policy, education, mentoring, outreach, and workplace inclusion. Dr. Frazier is the recipient of multiple career awards including the DOD Joint Civilian Service Commendation Award from National Defense University; the award for Distinguished Service to the National Nuclear Security Administration; and the Black Engineer of the Year, Science Spectrum's Trailblazer Award. She has been featured on Careergirls, Diverse Faces of Science, the Grio’s List of 100 History Makers in the Making, the Black Enterprise Hot List, Essence Power List, and most recently in the December 2015/January 2016 issue of Ebony Magazine – being named one of the 2015 EBONY Power 100 (Ebony’s annual list of the nation's most powerful African Americans). Dr. Frazier is theoretical nuclear physicist with MS and Ph.D. degrees from Michigan State University and a BS from Carnegie Mellon University. She currently lives in Maryland is a native of San Francisco, California. For questions or concerns, please reach out to the Professional Development (PD) Chair, Shelton Liddell at professionaldevelopment@nsbedc.org.